Elgin Funeral Home appreciates and respects the fact that today’s consumers have a wide variety of choices available to them regarding funeral services and providers. Families that come to us, in their time of need or to discuss Pre-Planning, are met with complete transparency and special consideration for their individual needs. The Federal Trade Commission mandates that Funeral Homes create and provide a General Price List for Services and Merchandise offered. However, it has no control over the manner in which these goods and services are marketed. Unfortunately, funeral homes can mislead prospective clients by advertising a low-cost price that often doesn’t include many items and services that will be ultimately needed. This cost can also include products and services that the customer will often want to change or up-grade, which can easily bring the total cost much higher than anticipated. Planning ahead allows you to fully investigate your choices and give yourself an accurate comparison of true cost and value. It can be extremely difficult to make decisions after losing a loved one, so pre-need arrangement is recommended and, if done for one’s self, will be a loving gift to those left behind. 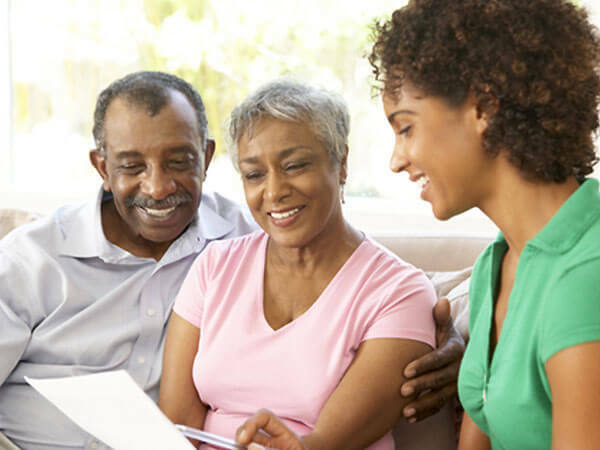 Many times, we see families with life insurance policies that aren’t enough to cover the full expense of today’s costs. At the time those policies were originated, the cost of a funeral was much lower. Pre-payment will protect you from rising cost by locking in the price, and as the prices go up, your loved ones won’t be left owing another dime. Most funeral homes will not disclose this: The funeral home is entitled to the accrued interest of a pre-paid policy, which is used to offset the inflation and how it guarantees the price. Although it rarely covers the entire difference, your family is still protected and by law the funeral home cannot ask for the difference, thus securing the price and never burdening your loved ones later. This is why most funeral homes will try to “up-sale” or claim merchandise is no longer available. When you plan ahead with Elgin Funeral Home, you can have the peace of mind knowing your wishes will be fulfilled.